Juventus displayed their tactical expertise, immense temperament and the reason why they are the favorites to win the UEFA Champions League yesterday night. Max Allegri’s side completed an incredible comeback against Diego Simeone’s high-flying Atletico Madrid who possessed a two-goal advantage over the hosts from the first leg. 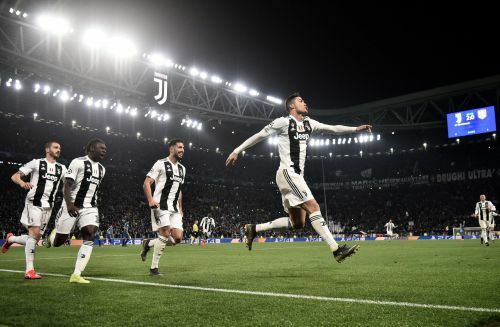 However, at Turin, Juventus’ main man and the connoisseur of crucial Champions League encounter stepped up to seal the deal against a well-drilled Atletico outfit. Ronaldo scored a hat-trick, with a goal in the first half followed by two in the second. He was a constant nuisance for the Spanish side and eventually ensured that his team saw through this difficult tie with a remarkable turnaround. Here, we discuss certain important talking points, subplots and analyze specific situations from yet another thriller in this season’s Champions League. Right from the first whistle, Allegri’s team took complete control over the proceedings and imperiously dominated the possession of the ball. However, their early approach looked a bit hurried and lacked a proper pattern of play at times. Maybe, the overstated yet significant importance of an early goal played too much in their minds and hence there was a lack of accurate structure in their gameplay. The defenders lobbed the ball inside the box, they overcrowded the box and made matters way too congested for them to have a sense of clarity initially. 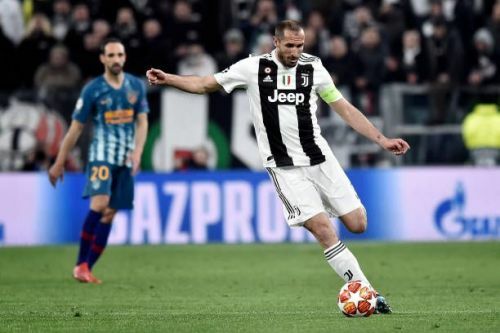 Similarly, they won a corner in the first five minutes and after a bit of a gaffe from Jan Oblak, Giorgio Chiellini lashed a shot inside the net. However, the goal was ruled out by the referee as apparently there was foul on Oblak by Ronaldo and hence the Italian side had to restart yet again. Atletico too looked well versed with what to expect and hence played deep into their half to avoid giving away too much space for Juventus’ wide players to send deliveries into the box. Led by a level-headed Diogo Godin, they saw off the initial phase of thunderous assaults from their adversaries and hence looked well settled to have the final say on this tie.